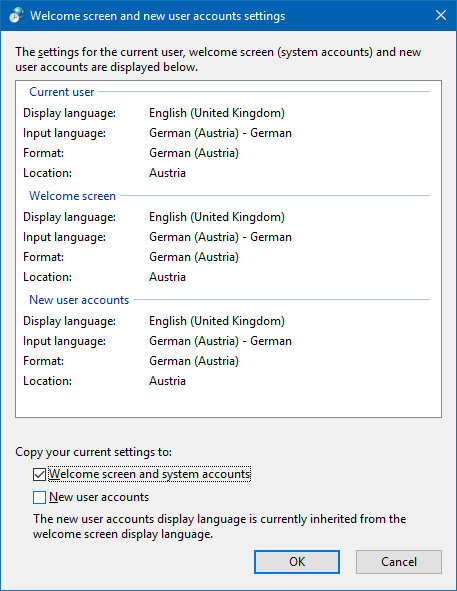 When I changed my job I started to work with an English Windows – so English is the primary system language. To a developer this can feel quite natural and I became so used to it that I would like to have this on my machine at home, too. But there are always these prejudices from the “old age” ™. 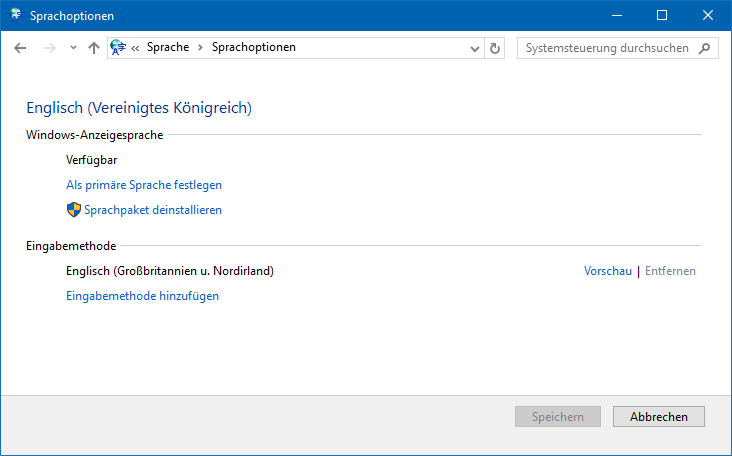 Changing the primary language in Windows always was impossible. 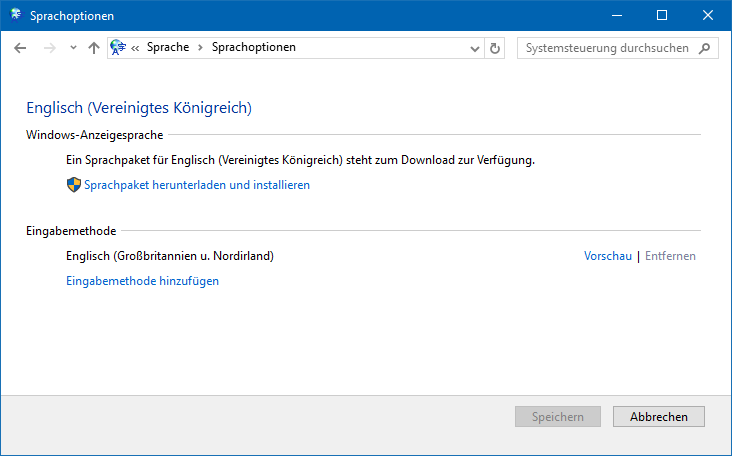 If you really wanted to have Windows itself change, you had to re-install with a different installation medium. This time I learned something from an older brother of mine. 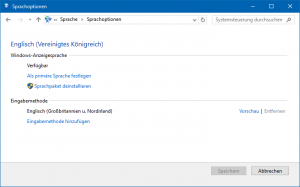 He is not an IT guy but wanted to change the language on a machine for one of his engine customers. 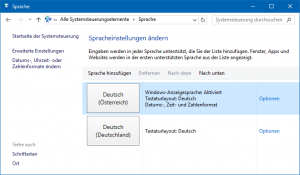 I was all the “oh no, this is not possible” – way when he found out and told me: You can quite easily obtain more language packs for Windows 10 and you can switch your primary display langauge which will even include login screen if you want! 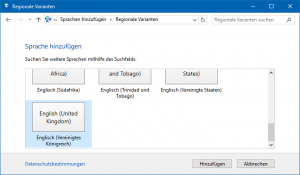 As always you do not only have a language but regions which define language, formattings and even dialects (the word for January differs between “German (Germany)” and “German (Austria)”!). 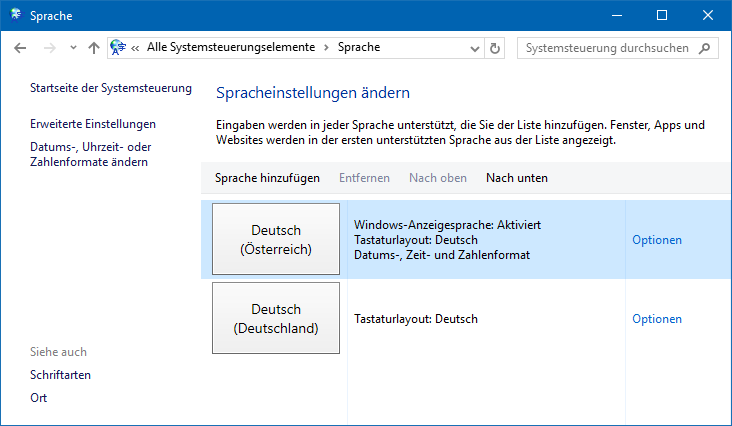 Click “Add a language”. You will get a huge ammount to choose from. Get all you want. 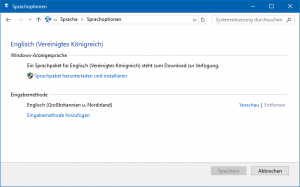 Open the langauge and select to install the language pack. This will download some megabytes and then require a reboot. Go back here afterwards. 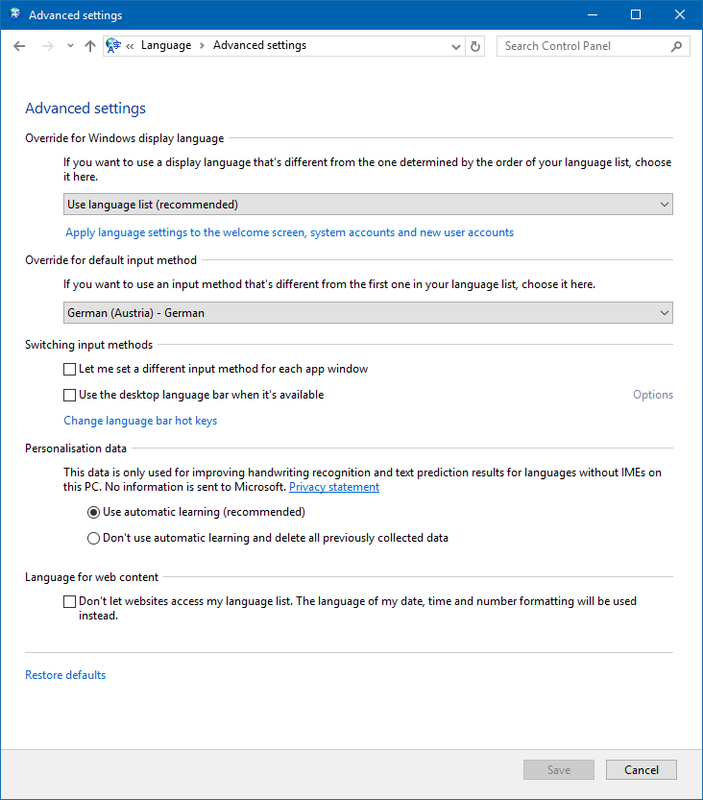 Now define your Windows display language by selecting “Make this the primary language”. 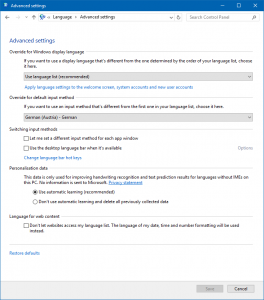 Time to look at the advanced settings. 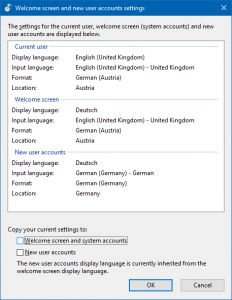 Maybe you want to stick to your “old” keyboard layout? And not always select it after every reboot? 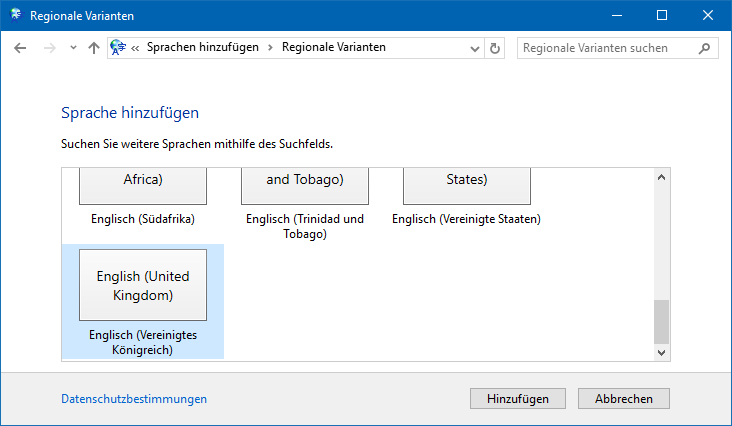 You can chose to have the input language not defined by the language list (where English is now number one for me) but select a dedicated layout. This still allows you to change the input language with the language bar at any time you want! 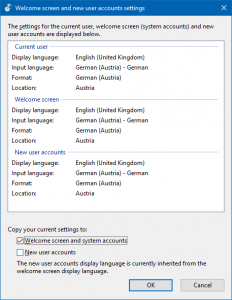 One more thing: Have a look at the link in the very first category here: “Apply language settings to the welcome screen, system accounts and new user accounts”. Click it and you can change these options, too. Very nice! ZoolWay © 2019. All Rights Reserved.